There are many different legal documents that may become an important component of your estate plan. In the event that you become incapacitated, your investments must still be managed, your bills must still be made and other financial issues must be dealt with. A durable power of attorney is a document that helps to ensure that if you were to become incapacitated, there is someone to manage your finances. This person serves as your agent and he or she will be able to deposit, write checks and withdraw money from the accounts on your behalf as well to speak with your financial advisors. Ensure that you name a financial agent as someone who you can trust who will act in your best financial interests. A power of attorney is different from a durable power of attorney. A durable power of attorney can be problematic because many real estate title companies or financial institutions are hesitant about using them because they are not sure whether or not it is the most recent version of the power of attorney. Your general power of attorney ceases to become valid legally as soon as you become incapacitated. However, find out the criteria associated with real estate title companies and your financial institutions before putting together a power of attorney. The companies that manage your retirement accounts might have their own power of attorney forms or other requirements that you need to follow in order to comply. If they do have necessary documents, make sure you use theirs and share this information with your estate planning lawyer. Some people identify the problems with the power of attorney documents and chose to set up a revocable living trust instead. This can act like a super power of attorney because financial institutions such as banks are legally required to comply with their terms. A revocable living trust tends to be most appropriate for estates that are worth more than $1 million. 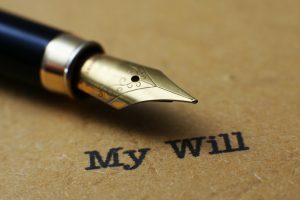 Transferring assets into the trust and designating yourself as the trustee is the typical course of action followed by people using revocable living trust for estate planning purposes. Contact a knowledgeable estate planning lawyer to learn more about how this can benefit you.